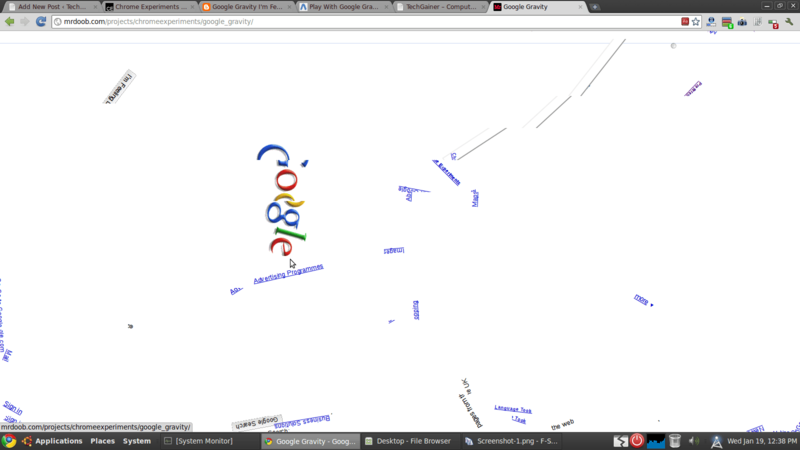 See How Amazingly Google Looses it’s Gravity! 1. 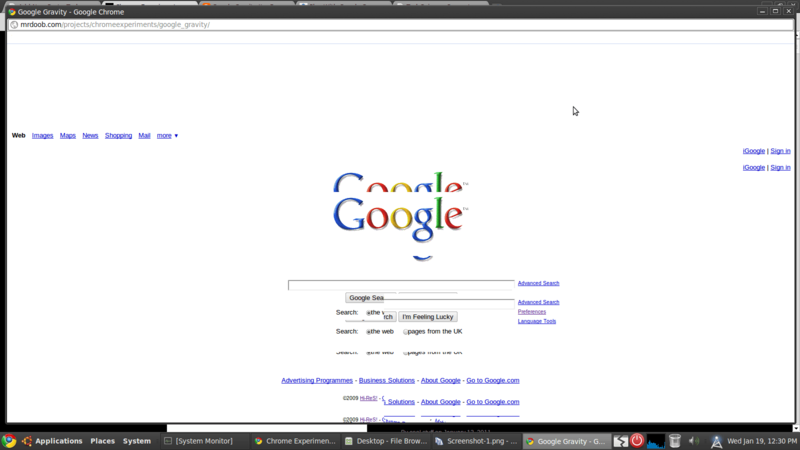 Just go google’s home page www.google com. 2. 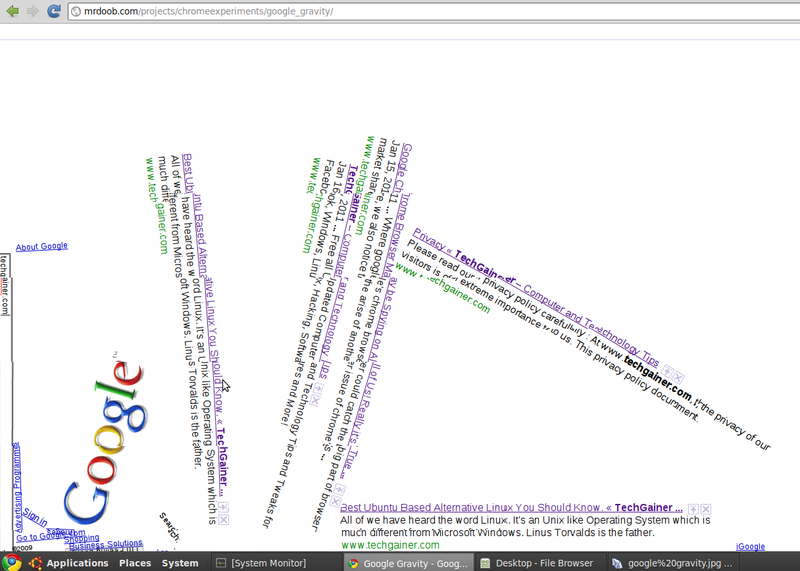 Now in the search bar, type “google gravity” without quotes. Then click on “I’m Felling Lucky” instead of clicking on “Search” or Suggested links. 3. Now Google will send you a page which will exactly look like main Google. 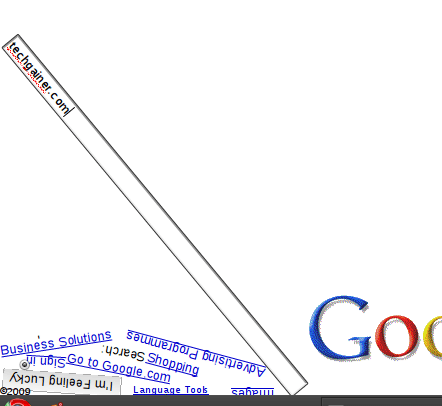 As soon as you mouse pointer will come on the new Google page, all Google elements will fall down! 4. This was the main thing I was telling about. 6. But you can still use that broken page to perform searches. 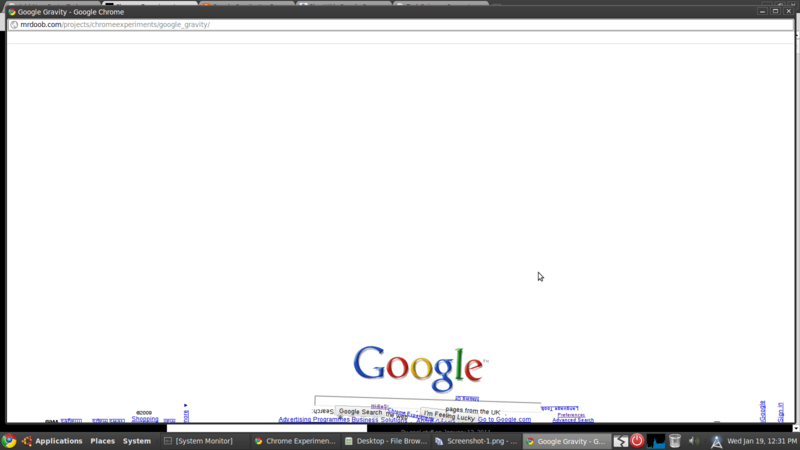 All of your search results will also fall below of your Google window! Note: All features only works on Google chrome.